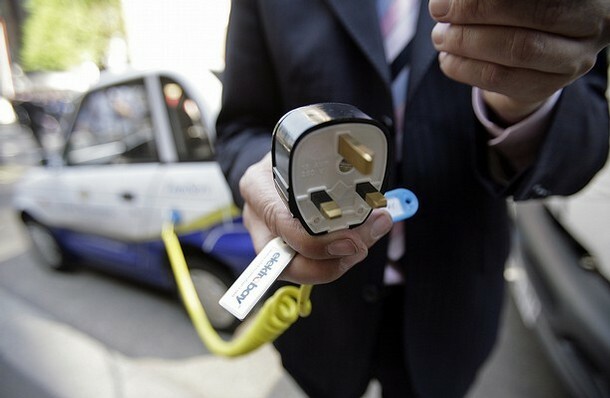 For the super earth friendly car - electric is the way to go if you live in the city. Batteries are used to power the car for up to fifty or so miles, beyond this they use an internal combustion engine to charge the batteries. To recharge you simply plug them into any three-pronged socket. There are charging points across London some of which are free. It takes about four to eight hours to fully recharge the batteries depending on the voltage at the point they're charging from so it's best to recharge at home. Electric cars have no exhaust pipes and therefore don't emit nitrous oxides and other harsh particles into the atmosphere. Beyond the environmental benefits of electric cars are the huge cost savings - owners are exempt from paying the congestion charge, parking is free in central London and insurance rates are cheaper. Plus with the new road tax penalizing car owners of gas guzzling cars that emit more than 130g of CO2/km, from 2010 onwards, now is as good a time as any to think about going green on the car front.